Slam bam thank you mam. One 3D IMAX crash after another. Enough already. I felt pulverised and longed for Casablanca. How many superheroes can you throw together and not get a stew? Or bouillabaisse. A mess. Chaos. Drama. Noise. 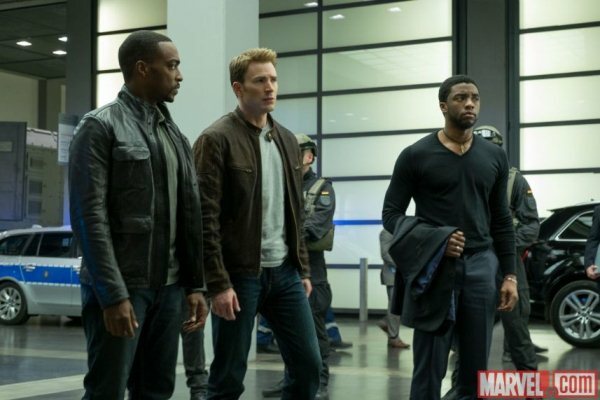 Captain America: Civil War begins fair enough with Scarlett Johannsen hauling a** with some of the big boys and she is very adept at this. A true giggle. I thought at last we are going to have an interesting action film. Then Robert Downey, Jr appears and his subtle delivery is the very best of the entire cast. It is rumored Downey was paid half of the actors’ entire budget and he is worth it. He does not work the camera or play conspicuously to it, but feels his moments and is Mr Loosey Goosey…languid, gentle, genuine. It is rumored Downey was paid half of the actors’ entire budget and he is worth it. Then Robert Downey, Jr appears and his subtle delivery is the very best of the entire cast. Whereas the handsome Captain America, Chris Evans with his chiselled good looks unfortunately acts the same way. His acting is cardboard, stiff, awkward, contrived. 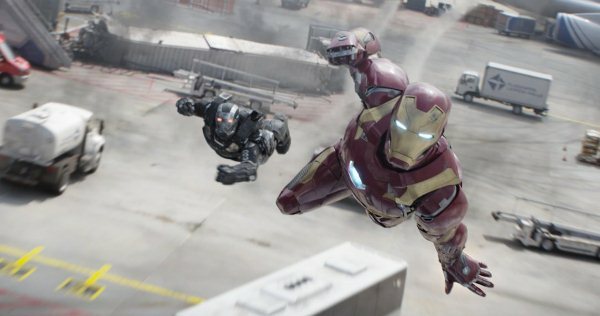 So give Downey the bucks for his rubbery but believable portrayal of Iron Man and do not weep for the rest of the cast which undoubtedly was ‘still’ paid handsomely according to Paul Bettany who when asked on a morning show, if being painted and costumed for two hours each day, said that it doesn’t irk him. But back to the action, after we have one confrontation of superheroes, it is like, “gee whiz, isn’t this fabulous!” Then we have another confrontation and it is like, “gee, well maybe?” Then we have a third confrontation and the exit sign is looming. The plot of this film is stringing confrontations of cartoon characters together with as little as possible story in between. In the end nausea sets in. Sitting still was an ordeal. This film is in love with itself. Over the top to the point of becoming a big bore. Stars are given blink-worthy parts and peppered throughout to add to the effect of plot, but good actors like William Hurt, Alfre Woodard, Paul Rudd, Hope Davis are given a wink and a nod. So many stars, so much action and such a bore. Some laughs appear early on and then fade. The writing by Christopher Markus and Stephen Mc Feely is laborious and without wit and punch. 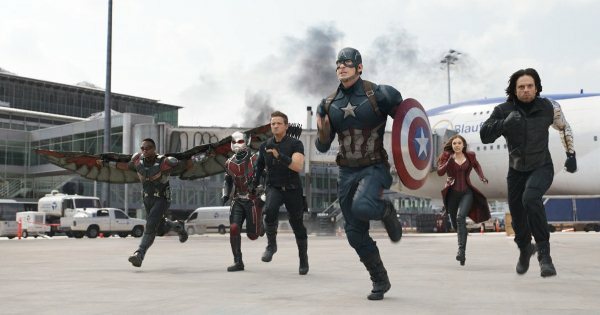 The stars, if you haven’t noticed, are: Chris Evans (Captain America), Robert Downey Jr (Iron Man), Scarlett Johansson (BlackWidow), Sebastian Stan (a hunky addition) (Winter Soldier), Anthony Mackie (Falcon), Don Cheadle (War Machine), Jeremy Renner (Hawkeye), Chadwick Boseman (Black Panther), Paul Bettany (Vision), Elizabeth Olsen (Scarlett Witch), Paul Rudd (Ant-Man),, Tom Holland (Spider-Man), Daniel Bruhl (Zemo), Frank Grillo (Crossbones). Some laughs appear early on and then fade. The plot, if you can find one in this maze of metal and macho weaponry directed by Anthony and Joe Russo, is that with the rising fear of superheroes the government forms Anti-Hero Registration Act limiting superheroes actions. Alas Iron Man is behind the act, but Captain America feels that the people cannot rely on the government to protect the world. Now gee whiz.Guess who wins? And wouldn’t you know a new villain comes out of all this chaos or we would not have another sequel and that’s what this film is all about. Franchise heaven. Oh Please! 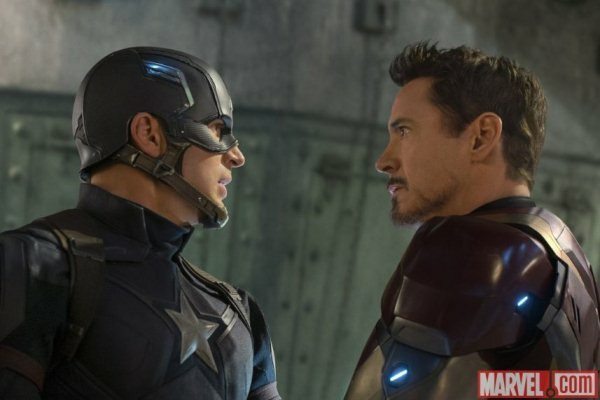 The budget for the next two Avenger films is over a billion. Think of all the underprivileged who could be fed while Hollywood is cranking out sequels to comic books for us to laugh at and to eat popcorn to. Well, count me out for next film in this franchise which is grasping for box office straws – AKA money, honey – and is squandering millions that could be used to help our nation’s poor not stuff its minds with amateurish rubbish and childish fantasies. Why don’t we have a Donald Trump superhero and unite the absurdities of the Presidential campaign with the absurdities of cartoon superhero budgets. If you are an action hero aficionado buy the comic book, but skip Captain America: Civil War. If more people did this, maybe this franchise mania in Hollywood would stop and we could return to the Casablancas of the world. 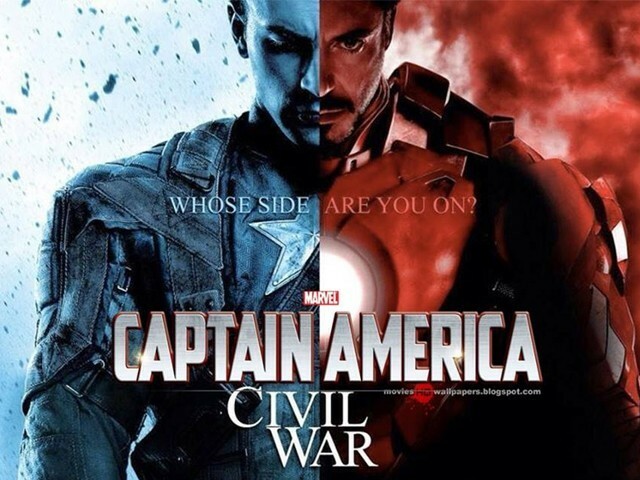 How would you rate Captain America: Civil War? I mean when I saw this review yesterday I wanted to call this “review” retarded, but I didn’t because I hadn’t seen the movie yet, but now that I have, I’m gonna call it super retarded. IMO the movie needed more Steve Buckymoments! They hardly greeted each other, asked about what they wentthrough,etc?? Also, more fun moments with the trio Steve Buck, Sam could havebeen added. At least 10 -1 5 min more on these dynamics would have sufficed.They could have done this by cutting down Tony’s screen time or Spider man–who was actually not needed for the story to move forward- Also, Spidey he doesn’t need an introduction from Iron-Man !! He has always been the Marvel Mascot! Why did Mr.Stank bring a 15 year old underage boy just to fight avengers?? For some laughs?? Steve, Bucky and Sam could have easily done that in a classy way— Remember the beetle scenes?? was kind of in the background! Like they deliberately gave Sebastian less screen time. 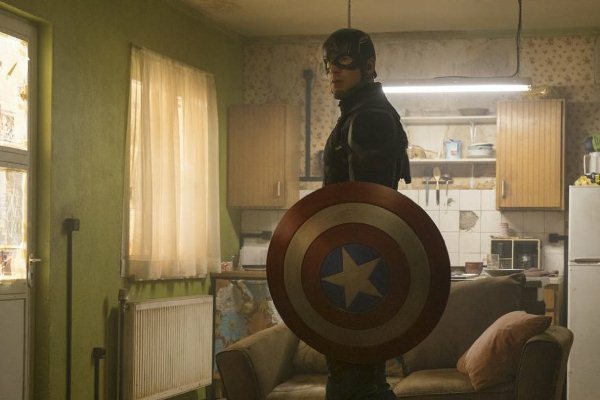 Director Bros and Mr.Feige – please note that the Winter Soldier actor is amazing and needs more time on screen! Why do you always give him a raw deal?? ?